I find that Articulate Storyline 360's animation features give me a lot of flexibility for adding movement and interactivity to my projects, but one of my favorite animation effects uses a feature that tends to get overlooked: Zoom Region. 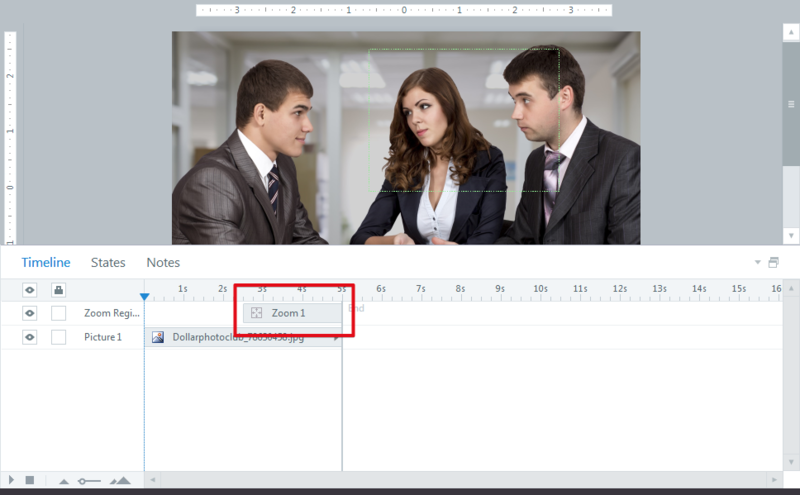 Using a zoom region gives your learners a close-up view of a specific area of your slide at any point on the timeline. Using the zoom region feature is a quick and easy way to draw attention to key content—characters, text, or images—and, when they're stacked together, a fun way to add some cinematic flair to otherwise static slides. Adding a zoom region is super simple. On the Insert menu, select Zoom Region. Then, drag your mouse over the area of your slide you want to emphasize. Once you’ve added all of the zoom regions you need, it’s time to introduce some drama. Here are four cool effects you can achieve just by manipulating the length and placement of zoom regions on the timeline. Want to focus on a specific element on your slide? Insert a zoom region and drag it to the point on your timeline that you want the zoom effect to appear. This can be a great way to emphasize key information in time with audio narration. One of the coolest movie effects you can create with Zoom Region is a close-up shot that pulls back to reveal the bigger setting or context for the object in the frame. This effect is a great way to communicate scale. For example, science fiction films open a scene by showing you a close-up of one spaceship and then pulling back the camera so you can see the entire fleet of spaceships. To achieve this effect, place a Zoom Region at the beginning of the timeline so the opening shot is a close-up that zooms out to reveal the bigger picture. Pro Tip: You can adjust the length of time the zoom effect occurs just by extending or shortening the zoom region on the timeline. Want to emphasize multiple objects with the fluid effect of a camera panning across the slide? Insert zoom regions next to each other on the timeline. This creates a panning effect that seamlessly shifts from one area of focus to the next. Insert the number of zoom regions you need and position them on the timeline. 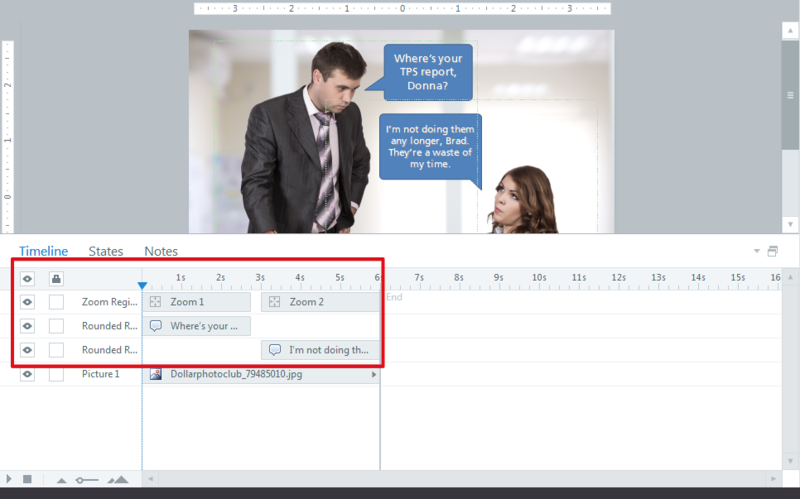 Then, add captions with text to your slide and align them to the zoom regions on the timeline. Voilà! An engaging cinematic effect using static images. Want to see these effects in action? Here’s a quick example I put together that will help you visualize how these movie-inspired effects work in practice. 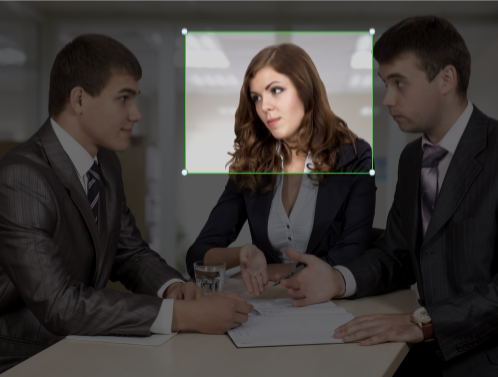 What are your favorite tips or tricks for applying special effects to your Storyline projects? Tell me about them by leaving a comment below. This is a great reminder of how effective and easy to use zoom regions are. I only recently started using them more regularly and love them, thanks Trina! I love the creative use of zoom regions to create a pan effect! I am definitely going to try that out sometime. These effects also work great for zooming in and panning around a document that is not legible when you're zoomed out far enough to see the whole page. I'm currently using combinations of zoom regions to walk people through a form they need to learn how to fill out. Great point. That's exactly how I've used these effects in the past - walking through a form. It's a nice approach versus static images of form fields with explanatory text. We had lots of problems with zoom animations in all forms, when it went on to tablets, everything went blurry. If an object had even the normal zoom animation on it, it would appear blurry at the start even before it had zoomed any where. Has this been fixed now then? 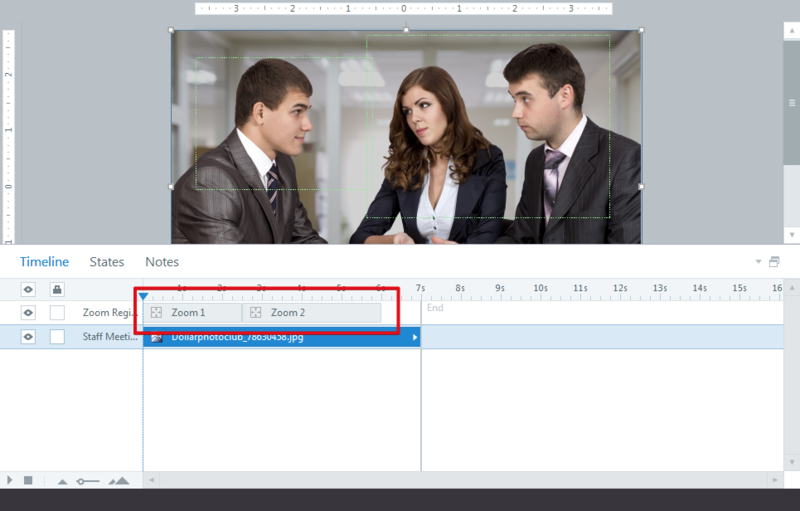 Objects are not vectored when viewing Storyline's HTML5 output. As a result, they may not appear as crisp in HTML5 as they do in Flash. I use this all the time for screen captures in Electronic Health Records software training. My only wish is that the zoom proportions could change. I understand the reason, but it would be great to be able to trim the region more specifically. Agreed. This is a big part of why I don't see it being as useful.